What are the best patio heaters? Propane models are more economical and portable in comparison with electric ones. There are freestanding heaters that you can place wherever you want as they do not require a power outlet. The downside is that they run out of fuel so you should have an extra tank at hand. Opt for the models with the heat output of approximately 40,000 BTU’s per hour. They are powerful enough to warm up an area of 20 feet, but not too much to make the device run out of gas very quickly. We believe that Fire Sense Patio Heater meets all these criteria best. Why have we chosen this model? With an output of 46,000 BTU's, the device heats an area of up to 18 feet in diameter, providing continuous warmth. You will start the heater easily due to an effective single-stage ignition system. The product comes with an extra base weight, which makes it more stable and wind-resistant. Burners are made of strong stainless steel, adding durability to the product's innovative design. We all know lots of people who love spending their leisure time in their patio and read their favorite books there, spend time with their guests or throw BBQ parties there. A lovingly furnished patio often becomes a favorite spot for both children and grown-ups lounging. The summer is about to be over, a warm blanket is not going to be helpful in a while, so you are probably looking for patio heater. 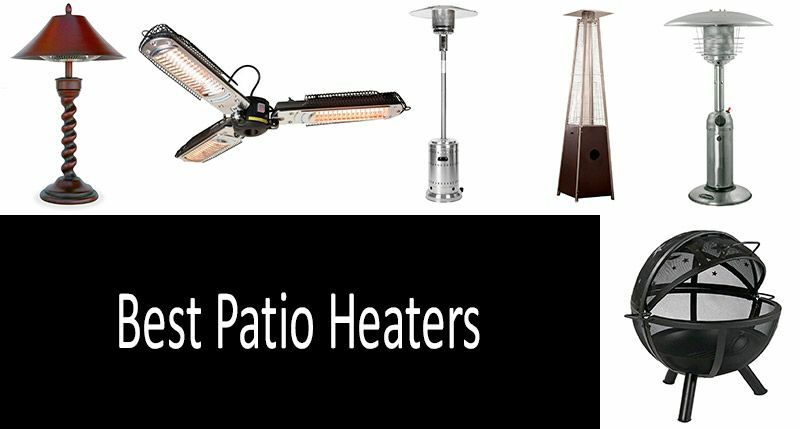 We have selected 9 best outdoor patio heaters, ranging from compact designs for 1-2 persons to more powerful ones for a large company or bars and restaurants. Which one will you pick: a portable or full size one, table, floor, or hanging, electric or propane powered heater, or maybe even, patio fire pit? radiant heating (infra-red radiation directly heats objects and people within the device’s action radius) - electric patio heaters. Gas (propane) heaters lead the outdoor heaters market while the electric patio heaters follow them. All of the propane heaters are rated with an AFUE. This efficiency rating indicates the percentage of the useful heat generated from 100% of fuel consumed. The greater the heat output (Btu / hr) is, the greater is the efficiency. 700 to 1 000 sq.ft. 1 000 to 1 200 sq.ft. 1 200 to 1 400 sq.ft. 1 400 to 1 500 sq.ft. 1 500 to 2 000 sq.ft. 2 000 to 2 500 sq.ft. BTU will help you determine how much heat is needed for your particular space: it’s important to choose a patio heater that has an adequate heat output for the space that you have. In simpler terms, you wouldn’t want to buy something that doesn’t heat up all the area, just as you wouldn’t want to buy something too huge for a small space. Bear in mind, that if you live in a windy area, the inflow of cold air can affect the patio heater’s efficiency. With that being said, you would want to consider a higher BTU for a climate like this. Propane heaters are handier for long-term heating, while the electric models are more effective when used only for several hours, as the University of Alaska Fairbank scientists claim. In any case, it’s up to you to choose, we’ll only describe you the best models we’ve studied and will help you pick a powerful heater for a large patio as well as a portable patio heater for 1-2 persons. To heat a large patio, you need to choose a powerful floor model with high thermal power output, preferably from 40,000 Btu/hr and up. This ensures that the rate of the heat generated will be sufficient to keep warm even a big company chilling on a large patio. Only propane devices marked "commercial" will cope with the task as they can also be used in outdoor cafes and restaurants. Still, bear in mind that there is a relationship between the heat output (Btu/hr) and the operating time of the heater on a standard 20lb gas tank. The more the heater’s Btu/hr is, the greater the heating area is and the sooner you’ll be running out of gas. It is this very model of all patio heaters that has become #1 Best Seller in the Outdoor Heaters category. This heater was designed to warm up all the guests when you host a huge patio party. This powerful propane patio heater will manage this, as we’re speaking of the 46 000 BTU heat output! Such parameters provide for about 9 hours of performance of a 20 lb propane tank. The heater is promised to emit heat within the diameter of 18 ft. It does indeed seem great. The auto-disable, as well as safe piezo-ignition, convenient temperature control knob, absence of open flame and gentle heat will all be appreciated. The lower block of the heater can be filled with water or sand for greater stability of the structure. You’d better do as the heater can tip over if the wind is strong enough… which, incidentally, happens as in some cases the wind throws off the heater even in the swimming pool. For transportation convenience the device is equipped with tiny wheels at bottom so that you could easily reach your destination. The heater is powered by a standard 20-pound propane tank. What about using it in the patio? Havana Bronze Commercial Patio Heater is extremely popular with those who spend plenty of time there: “We bought this for our patio area. It's perfect! It gives just enough heat, was easy to assemble and arrived in two days. It makes watching TV outdoors on a cold rainy day fun! 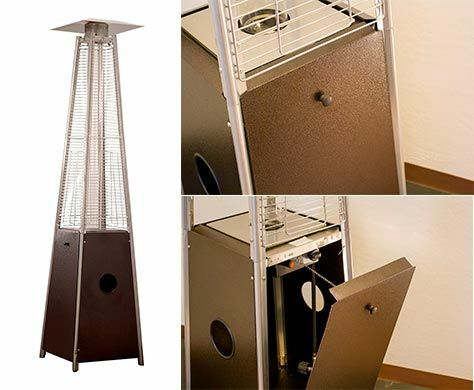 We couldn't be more pleased.” This outdoor heater comes in 3 different colors so it won’t be too difficult to match it with your patio furniture design. Bear in mind that this heater is to be only used outdoors as it requires lots of oxygen for removing combustion leftovers. «I work from my home office that's my garage and been freezing..space heaters didn't not work so I stepped my game up! My space is 24x22 and now it's almost to HOT! It's WELL». «This thing is really tall. I cut 12" off the upper steel support post, re-drilled holes, and it now puts out at least 10x more heat on me where before it was almost useless in sub-zero temperatures. 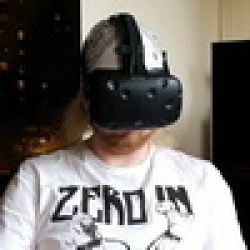 Installation is easy and common sense, there are only like 10 parts, I have no idea why people are complaining about this». «I decided to lower the top tubing by 4 inches. Holy Mother - what a difference, easily twice as warm. Keeping the unit at the open front created a kind-of heat wall that really slowed the cold from getting in. Sitting in chairs the whole space started warming up. (10x12). I own the tools to cut the steel tubing and redrill the mount holes. The conclusion is get the shorter version unless it's used for a "standing" only area. I'm 6' 2" and this one 4" shorter is perfect now». This is a device for those who want to own an exclusive designer item able not only to heat up but also to become a decoration in your patio. Such heaters are, as a rule, higher priced but they are worth the price tag. The manufacturer didn’t opt for hiding the propane combustion flame inside device and instead confined the flame in a heat-resistant glass tower with a bronze foundation. It looks so impressive that you’d hurry to install it in your patio, and wait for the night to throw a party! «After 3 minutes or so when the top receiving burner and top plate heat up very hot. Estimate 5-6 foot diameter from unit of heating, more than adequate. You can't expect the same heat out of this that you get from the other heaters that have the large satellite dish thing at the top. Flames go 1/2 way up glass tube on low, all the way to the top on high setting. Aesthetically pleasing». «It took me about 30 minutes to put the unit together. Once the unit is ignited, the heat distribution is minimal, but after 10 minutes you can feel the heat 8 to 10 feet away. This unit looks better and heats much better then the traditional patio heater». The heat output of 40 000 BTU's will be enough for about 10 hours of heating from the standard 20lb propane tank. And the glass case will not only provide for heat, but also for great night lighting. This shall be an excellent choice for esthetes. Its design is nearly identical to that of the Basics’ best seller and has the same heat output equal to 46 000 Btu/hr. The only difference is that this very line of heaters provides you with an XL item equipped with additional base weight making the model more stable, better wind-resistant yet more costly. What should you do if you barely go outside (and when you do, you don’t stay there long)? Suppose, you love reading or working at your laptop or chatting with your significant other outside at night, but the cold would surely ruin your plans. In such cases portable propane or an outlet-powered heater will solve the problem. Such devices will easily warm up a couple. We have found 2 models which deserve your attention in this category. The first one resembles a regular electric light, and has an elegant design. The second is fuelled by gas and is constructed of metal. Despite their differences, one thing they both have in common is their purpose to warm you. Which one will you choose? At a first glance this seems to be a mere pretty lamp, but in reality this is a portable electric heaterwhich starts to warm you as soon as you have it plugged in. 1200 watts of power provide heat up to 115 sq. ft. of outdoor space - you can use it both at home and on the street. This thing has become a treasure for the fans of chilling in patio; some even call it “a lifesaver for my patio”. This outdoor heater seems to be liked by everyone, reading or small gatherings fans, and lovers of stylish and functional devices, smokers who fume outside… It is often presented as a gift as few people stay indifferent to this sleek device. Relative fragility is considered to be the only drawback of the gadget, so think carefully where you are going to place the heater as the wind might flip it over and break it. This stainless steel patio heater resembles large commercial patio heaters: it’s just smaller in size. It is indeed very similar to them, as this tiny device is also fuelled by gas (propane or butane), but its tank capacity reaches only 1lb. The heat output of 11,000 Btu/h will only provide the amount of gas sufficient for staying in the patio for up to 2 hours given that either of the two fuels is used. The heater is supplied with a weight plate for added stability, burner screen guard, thermocouple and anti-tilt safety devices, so don’t worry about your safety, everything has been thought through for you. It runs at 1500 Watts and has temperature control. Such a heater can be is securely fastened under the dome of the parasol and is able to warm up to 15 square feet with the help of 3 burners! In addition this heater is waterproof and is equipped with a safety anti-tilt switch. There is heat, light and comfort, all creating the perfect atmosphere for spiritual conversations. It is a waterproof heating lamp of 1500 watts with a significant advantage over its predecessor on our list. It has wireless remote control equipped with 3 buttons: 2 help you set the heating temperature while the third one turns the light on and off. All you have to do is hang this heater where you spend most of the time. The lamp life is promised to last as long as 5 000 hours, so it will take long before you are challenged with replacing it. You’ll see that this is a profitable investment in heating any patio or gazebo. It is a wall-mounted patio heater. It’s wind resistant and you don’t need a parasol to hang it. You can mount it on the wall (or even a beam), turn it on and enjoy the warmth. This outdoors heater covers the area within 9 ft which makes it a decent option for smaller patios. Last but not least, we’ve got an interesting heater which will be appreciated by both natural heat fans and connoisseurs. It is simply impossible to ignore it! If you want to enjoy natural warmth or you love warming your hands near a fire, this heater is for you. It doesn’t require an outlet or a propane tank, you’ll only need to throw some firewood in it and get cozy nearby. Of course, it won’t heat up much space, but you’ll surely appreciate the pleasant time spent at night in your patio while watching the flames flutter in this fire pit. This isn’t simply beautiful, but also safe as the heater is made of steel and is fully enclosed which allows you to use it without fear. There are 24-inch and 30-inch models available, and they even have the moon and stars on their dome. Perhaps, this is just what your patio is missing. Please, refer to your user’s manual to see how much space is required around your heater. Usually, patio heaters with 35k to 50k BTU will require at least 30 inches of clearance around it, whereas smaller units (10k-25k BTU) will require at least 24 inches. Gas patio heaters can never be used indoors (in an enclosed space). On the contrary, electric heaters can be used both indoors and outdoors. Can I use the patio heater on grass or does it have to be on concrete? No, please, do not set up your patio heater on grass as it can fall or tip over. Always place it on a stable ground (concrete, if you like). Can I leave my patio heater out all year round? Yes, you can. However, if left unattended and unused for long periods of time, the heater’s elements can deteriorate over time. Can patio heaters be used indoors? Will a patio heater melt snow? Patio heaters are not intended to melt snow or ice. However, radiant heating systems can melt snow, if that’s what you want. Do I have to clean a patio heater? If left unattended for a long time, then make sure you indeed clean your heater, otherwise, it won’t be functioning just as well. Outdoor gas heaters are never safe indoors, however, they are safe while using outdoors. The reason behind this is that outdoor heaters generate carbon monoxide and thus, require unrestricted ventilation. The electric heaters are safe both for indoor and outdoor use. I’m a smoker & moving into a new home I would smoke outside. What is the least expensive non-electrical patio heater to buy. Please advice which is the best electricity-powered patio heater? We used to use gas heaters, now we’d like to use environmentally-friendly ones. The next question logically pops, how cost-efficient are electric heaters? If we are talking about the best patio heater, AZ Patio Heaters HLDS032-B Portable Table Top Stainless Steel Patio Heater is also worth mentioning. It is very ergonomic and not too heavy. It uses gas which is also an advantage in my opinion. As for me, the best patio heaters are это Ener-G+ Indoor/Outdoor Ceiling Electric Patio Heater and AZ Patio Heaters Electric Patio Heater. I personally used the latter; it resembles a parasol and warms very well. Thanks to its shape, the heating radius is huge. That’s a great idea! It will if you additionally invest in an adapter hose for a propane tank with type 1 (QCC1) coupling. I want to buy a table top patio heater similar to AZ Patio Heaters’ one, but I only have a 20lb propane tank. Will this small heater work with it? Yes, if a model’s design provides for that. However, should a steel foundation of a propane heater be designed to only fit a regular 20 lb tank, a more voluminous tank will simply not fit inside. Can a propane heater be used with a 30lb propane tank? No, it’s a static device and no spinning is presupposed. It is not recommended to hang such a heater too high as you won’t feel the warmth in that case. Ideally, you should it hang it about 40 inches over your head. As a rule, commercial heaters (including the ones mentioned in this review) are supplied without encasement which is to be obtained separately. A case protects the heater from rain, snow, sun and dust, which is required if you have an uncovered patio and your heater will constantly stay outdoors. When picking a case, pay attention to the dimensions of your heater, as a rule the cases are sized to fit certain models. Naturally, a heater doesn’t threaten such flooring. While working, a propane heater only gets hot on top and the foundation (that’s where the propane tank is located) temperature stays the same. So don’t you worry, the floor will neither heat up nor melt. Are commercial patio heaters supplied with cases? Do I need a case any way? Can a full size patio heater be installed on a composite deck? Does the AZ Patio Heaters’ Electric Patio Heater spin like a fan, or is it supposed to be hung?